Well, we have completed our pilgrimage. 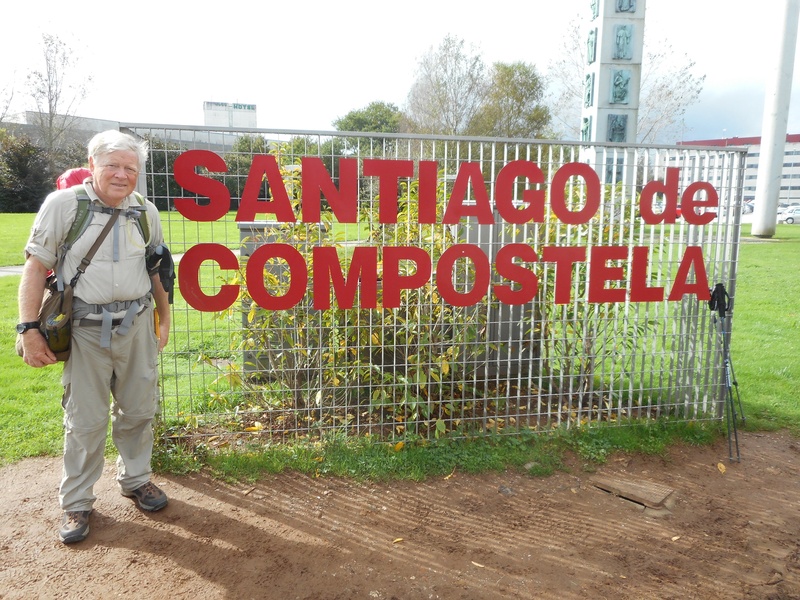 Today, under cool, cloudy skies, we hiked the final 20 kilometers into Santiago. Six weeks and 800 kilometers (500 miles) ago we embarked on this fantastic journey. 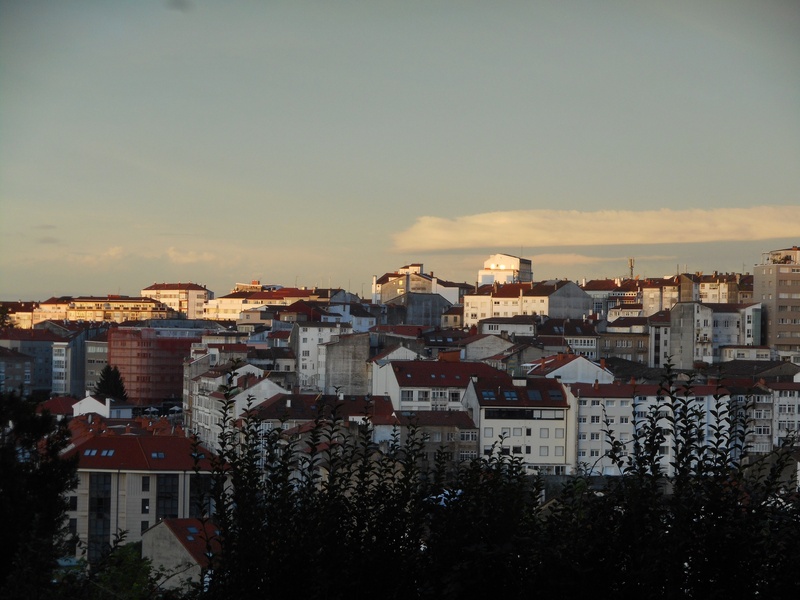 Now we can see the cathedral a few blocks away, but have not yet visited it. Our plan is to attend the pilgrim mass tomorrow at noon. We will also visit the Pilgrim Welcome Office to obtain our Compostela – the document certifying that we have satisfied the requirements of the pilgrimage to Santiago. This will proudly hang in my home office for years to come along with my completed credencial (pilgrim passport) that has the stamps (sellos) from every albergue and many other landmarks that we collected along the way. As I reported yesterday, it may take a bit of time for this experience to really sink in and for me to realize exactly how it has affected my life. But make no mistake, I do feel changed – a different person, somehow, from when I left San Diego in early September. Walking today we saw large numbers of pilgrims who had been bused to the day’s starting point so they could experience the Camino a bit as they walked the final few kilometers into Santiago. At one time this would have been unsettling to me. But, one way I have grown during my pilgrimage is that I feel happy for them that they also get to experience this fabulous experience in at least a small way. 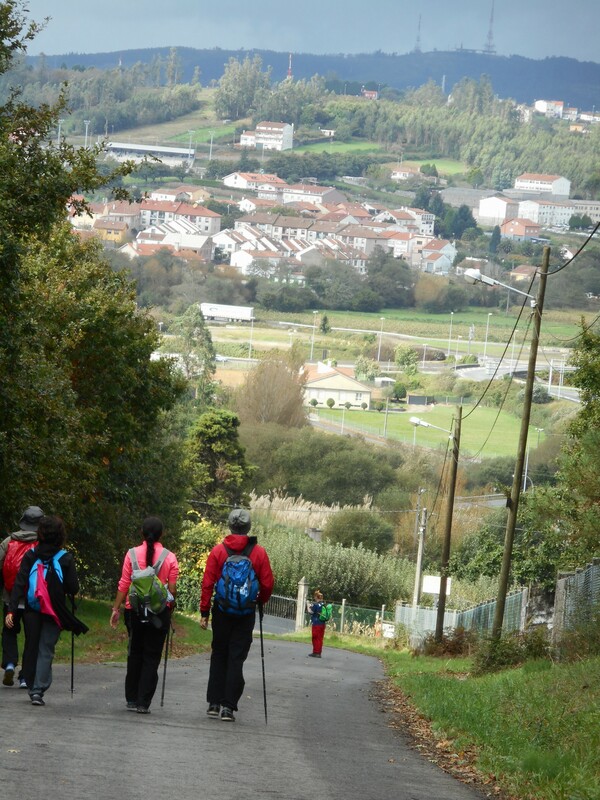 Hiking the Camino is an experience that is impossible to convey to others in a way that can be truly understandable. A person needs to actually make the pilgrimage to truly know what it means. We can try to explain what it is like to walk for several hours every day for weeks on end in all kinds of weather with a heavy pack on your back and how this affects your being. But, we will fall short in our efforts. I truly hope others might be encouraged by my experience to make the commitment to experience their own Camino. It will be the experience of a lifetime and will change you in unexpected and wonderful ways.